The Innokin Ez.Watt Starter Kit is designed for those of you starting out on your vaping journey. It has a built-in 1500mAh battery that can be charged via the micro USB cable allowing it to be used all day. 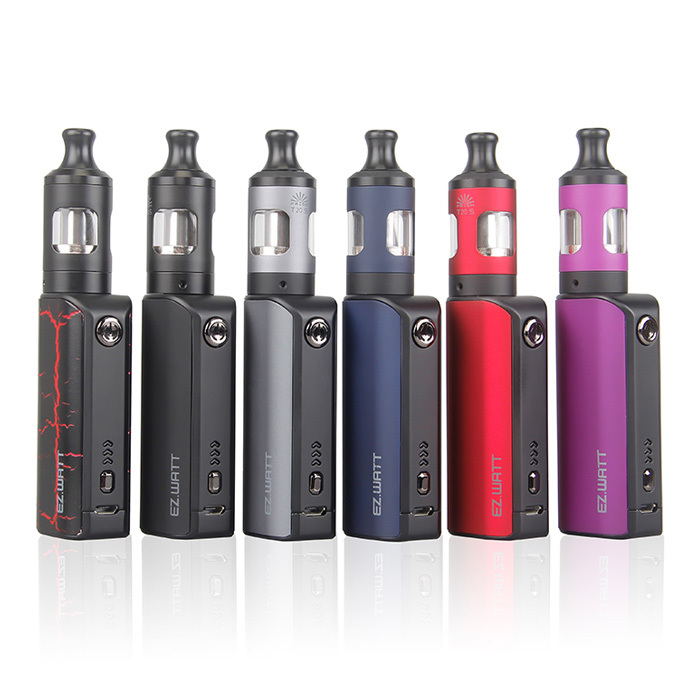 The EZ.Watt is innovative in the way it has been developed, allowing the user the option to use three fully functional wattage settings (13-14, 15-18, and for sub ohming 30-35). These three settings have been designed for you to have the mouth to lung option, or lung to mouth.